Please forward to students that could benefit from this program. Students are invited to apply for the ITEP Summer Internship Program. Spend eight weeks this summer working with tribal communities nationwide to address environmental issues. 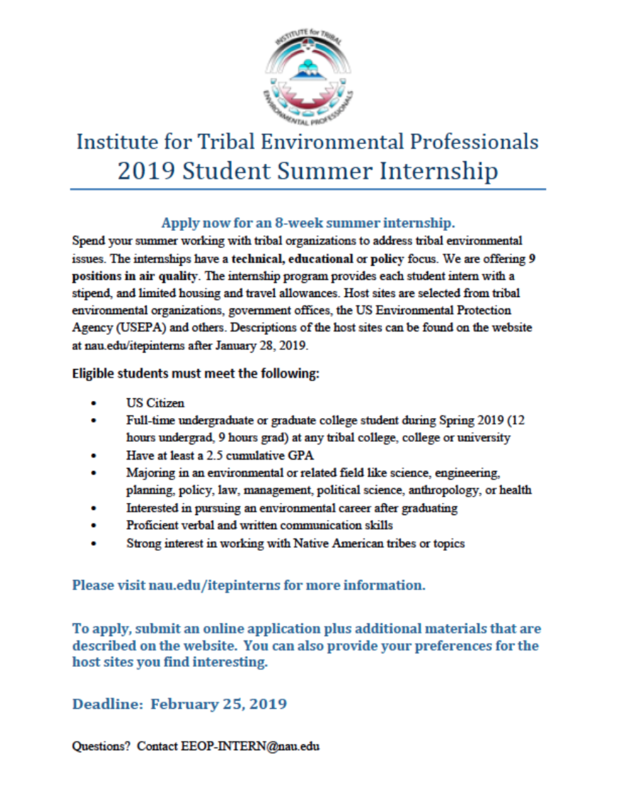 The Institute for Tribal Environmental Professionals (ITEP) has 9 internship positions in air quality. Students will be provided with a stipend and limited travel and housing allowances. For more information on the internship, eligibility criteria, and applying please view the attached flyer and visit nau.edu/itepinterns.